Haryana Irrigation and Water Resource Department has published the latest recruitment in Engineering Stream to fill up Junior Engineer vacancies on contract basis. Candidates who are interested and completed B. Tech in Civil/ Electrical/ Mechanical engineering they can apply online mode by visiting the official site of Irrigation & WRD Haryana @ www.hid.gov.in. 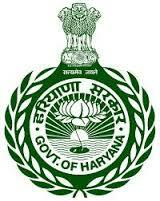 Aspirants also check other details related to Haryana Irrigation & Water Resource Department (WRD) Previous Question Papers like how to apply, selection process, educational qualification, recruitment notification details, syllabus, Civil Engineering Question Papers, vacancies details and more info given below. Candidates who are going to apply and starting preparation for Haryana WRD Civil and other posts they must and should need to know what is the question paper pattern, syllabus, old question papers to get a high score in the exam and to get a Govt job. Here I am sharing Recruitment Info and Related Old Question papers. I hope these question papers will help you. Educational Qualification: B.Tech in Civil/ Electrical/ Mechanical Engineering from recognized University.